Our founder and principal podiatrist Michelle Moyle was recently featured on Channel 7’s The House of Wellness program discussing the importance of taking care of your feet. During the segment, titled ‘Happy Feet’ Michelle offered an expert opinion on how to incorporate foot care into our lives and shared the benefits of regular podiatry with former Australian netball player Bianca Chatfield. The show was a wonderful opportunity for Michelle to spread awareness about the importance of our feet, Integrated Podiatry Clinic and the profession of podiatry. Watch from minute 2.20 to see Michelle in action! Michelle will again be joining Studio PP founder Steph Prem and High Line Active Physiotherapist Nicole Bryant to host a Foam Roller Workshop. You will be guided through a series of exercises from head to toe using a foam roller and trigger point ball. Learn how to perform effective stretches and release exercises to help combat a range of issues including injuries, inflammation, pain, sore muscles, and improve recovery and circulation. Foam rolling and trigger pointing are forms of myofascial release suitable for all fitness levels and body types. By applying pressure to specific tight spots and trigger points throughout your body you can assist in muscle recovery and a return to healthy function. The skills learnt in this workshop may also help to improve flexibility, boost energy levels, help detoxify the body and lower physical and mental stress. 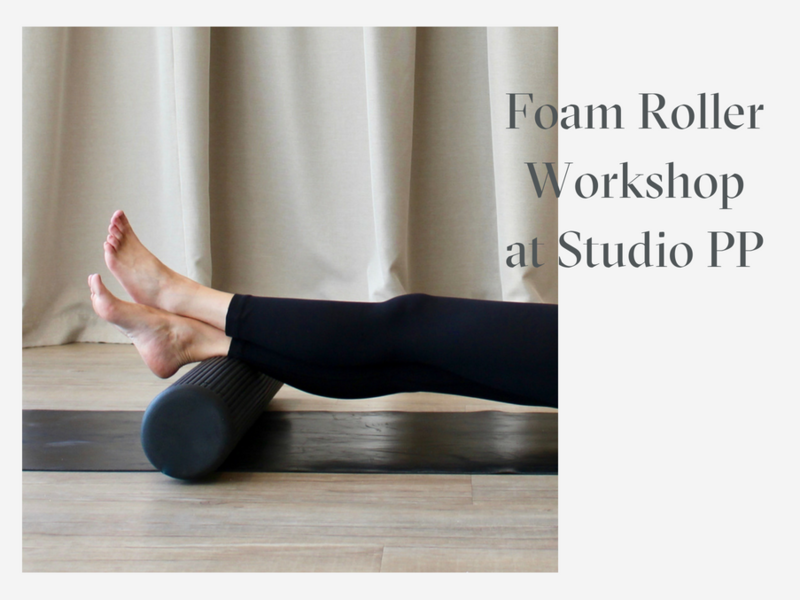 Ticket price includes a Studio PP foam roller to take home with you after the workshop so that you can continue your foam roller practice at home. If you already have a Studio PP foam roller, please select the ticket with the lowest price. We recommend the Studio PP specific foam roller as its size and density are ideal for facial release and spinal work. Our feet’s appearance can often be a source of shame and embarrassment, and one of the most common issues our patients are often concerned about are bunions. Medically known as hallux abducto valgus, a bunion is a bony bump that forms on the joint at the base of the big toe. The big toe pushes in towards the second toe creating misalignment in the foot. Although particular types of footwear are often to be blamed for causing bunions, it is more likely you can thank your parents. Typically a combination of genetic predisposition and environmental factors (i.e. footwear, trauma/injury) bring on the presentation of bunions. Bunions typically develop over time and research has found they are more common in women and older individuals. Not all bunions are symptomatic, however the most common symptoms reported are pain and impaired mobility. Because the joint at the base of the big toe supports much of your weight when walking, bunions can cause significant and constant pain. Joint stiffness, inflammation and swelling at the base of the toe may also be present. As the big toe shifts inwards it can push the second toe out of place and change the structure of the foot, also potentially causing the second toe to bend or curl (into a hammer toe). Bunions can also lead to difficulty fitting into footwear and can cause hard skin (callus) to build up on the sole of the foot in areas of increased pressure. Beyond the feet, bunions can have a negative impact on overall quality of life, affecting general health and wellbeing, social function, mental health and vitality. Our job is to reassure patients firstly that they are not alone and there is nothing to be embarrassed about, and secondly, that there are many treatment options available to manage the symptoms of bunions and improve their overall quality of life. We begin by treating bunions with a conservative approach. However, for more progressed or painful presentations there are also surgical options. If you have a bunion or have any questions related to your foot care, we are more than happy to help. Book an appointment here.